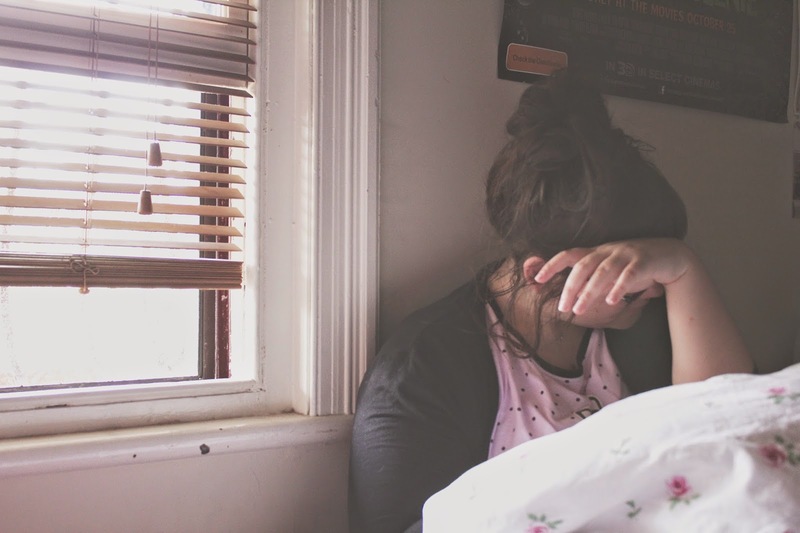 As I write this, I have a headache that is making me want to both cry and throw up, so what better time to write about how hard it can be to practice self love while living with a chronic illness? I apologise for the graphic nature of that first line, but I was really struggling to think of a good way to start this post so I figured I may as well go with blatant honesty. Living with an illness is hard, and sometimes it's just too much effort to tip toe around things so instead you have to stomp. Self love is a big thing at the moment. There are whole online communities dedicated to it, and there are more people talking about it than ever - which is an amazing thing that really should have happened years ago. But I'll admit, it can be hard to love your body when it feels like it doesn't love you back. Self care for individuals with a chronic illness is radically different than it is for healthy people, after a quick Google and looking through a few lists of self care activities at least half of them would be borderline impossible for me on a bad day. Go for a walk? Not gonna happen because my legs feel like dead weight. Give yourself a makeover? I haven't washed my hair in three days because I can't lift my arms over my head without wanting to cry. Spend time with a loved one? That sounds great, but I'm feeling very sensitive to noise/light/movement today, and I can't control how quickly another person will move or how loudly they will speak. While all these ideas are great in theory, they're just not effective for someone like me on a particularly difficult day. ♡ Keep a lot of soft things on your bed. Pillows, cushions, stuffed animals, and fuzzy blankets are a huge comfort when I feel like I've been hit by a steamroller. When even my clothes feel like needles on my skin, being able to hug a fuzzy friend is a really big help. ♡ Make a freshen up kit to keep by your bed. Put in things like baby wipes/wet ones, dry shampoo, a hairbrush, lip balm, deodorant or a nice perfume, and a clean set of pyjamas/comfortable clothes. Sometimes just freshening yourself up a little bit can make you feel ten times better. ♡ On the subject of kits, putting together a comfort box might really help you if you're prone to feeling anxious. ♡ Make a nice soothing playlist and just lay there and listen. Mine includes a lot of songs by Lullatone, Flume, City & Colour, and Bloc Party. ♡ Try rhythmic breathing or self massage. ♡ If you can make it out of bed and you have a bath tub, empty two cups of Epsom Salts and a bath bomb (something lavender scented like A French Kiss or Twilight from Lush work well, add an extra few drops of lavender oil for ultimate relaxation) into a full tub of hot water and soak for a couple of hours. Watch something that makes you happy while you're in there. ♡ Feeling crafty? Why not try making some pom poms for a cute garland or arm knitting a scarf while watching a movie in bed. This way, you can feel the satisfaction of making something without wearing yourself out. One of the hardest things I've found about my illness is constantly feeling like I should be doing more and that I'm not achieving anything, sewing and crafting is a really great way to alleviate feelings of uselessness without running yourself into the ground. ♡ Google 'Corgis in costumes'. You won't regret it. Sometimes it can be really hard to remember that even though it's a constant part of my life, my illness doesn't define me and that in many ways I'm still the same person I was before I developed Fibro. I have to remind myself often that it's okay to take a nap when I feel tired, and it's okay to stay at home, because it's my body's way of telling me that it needs to rest rather than me being lazy and unmotivated. As for self love, even though sometimes my body fails me I'm grateful that it's carried me through the past 21 years. I've done some amazing things, seen some beautiful places, and felt the greatest range of feelings - I'm incredibly lucky. We're not always on the same page, but I promise that I will love my body until it's in the ground being turned into flower food. I'm still learning the best ways to manage everything and navigate through life as a young person with a health condition, but I hope that I can help others along the way. Please feel free to share any self care methods that you use and that make you feel better in the comments! Sorry. Still trying to figure this technology out! Love your suggestions and glad I found this. Have huge admiration for you and your positivity. Luv ya!